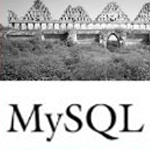 Well over a decade ago, a book came out simply titled MySQL by Paul DuBois. Everyone I know learned about MySQL from this book. I guess I mentioned in the past that I liked this book and ever since I get requests for the code from the book. I guess it isn’t available online anymore? There is a fourth addition of this book, which is also highly recommended available here MySQL. Thanks for sharing a new chapter.